The following address was given by Dr John Crozier at the NSW ACT Alcohol Policy Alliance (NAAPA) 2015 NSW Election Platform launch. Dr Crozier is Chair of the National Trauma Committee with the Royal Australasian College of Surgeons, and an active NAAPA member who has experienced first hand the challenges faced by communities in engaging with liquor licensing and planning systems. 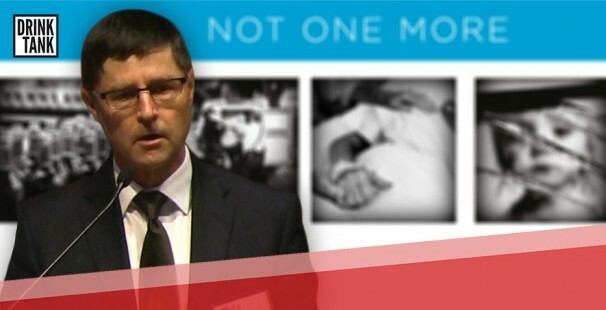 The alliance launched their platform ‘Not one more’ at Sydney’s Parliament House in November 2014, urging NSW MP’s to take action on alcohol. Each day in NSW alcohol results in 66 assaults, including 27 domestic assaults, 28 emergency department presentations, 142 hospitalisations and three deaths. One more harm from alcohol is one too many. 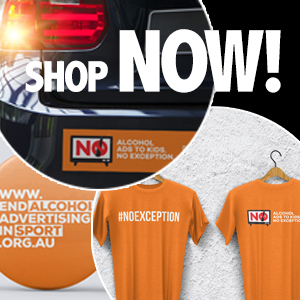 The upcoming State Election in March 2015 provides NSW with an opportunity to ensure that their next Government continues to work towards a comprehensive plan that addresses alcohol harms. As a trauma surgeon I see the impact of alcohol related harm daily. I have worked in southwest Sydney for the last 18 years, and note that in the last ten years in the Liverpool LGA there has been a 35 per cent increase in the issuance of new liquor licences, while the population has only increased by 17 per cent. Like many, I have devoted my professional life to providing best care to victims of alcohol – to picking up the pieces and helping put them back together. But let me tell you another part of my personal journey. In the late 1990’s I resided in a quiet suburb in southwest Sydney close to the hospital where I work. With other residents, my family watched a hotelier be granted a development application. The licenced tavern that was constructed well inside our quiet residential suburb bore little relationship to the plans on earlier public display. Within months of commencing trade, an increasing number of residents voiced objection to the noise often emanating from the tavern. As the months of trade became years, the degradation in amenity for residents living close to the hotel increased. Shattered beer bottles and alcoholic beverage cans increasingly littered the walkways, concentrated around the hotel. Drunken altercations would frequently erupt noisily into the foot paths and surrounding streets, particularly in the small hours of the morning. The final straw for many of us local residents was when the hotelier lodged a request for a variation of their licence to trade for 24 hours. It was only then that I realised how little I knew about my rights as a resident and, more critically, how common this ignorance was amongst the local community. Thus began a very steep learning journey over several weeks, culminating in a three day hearing. Pleasingly the court ruled against the hotelier in relation to their application for 24 hour trade. I know that this one act by reasonable residents – restricting this applicant’s hours of trade in a hotel within a residential suburb – has achieved far more benefit in reducing future alcohol-related harm than would have been possible, even with our best efforts, within the hospital where we treat the victims of the harm that would otherwise have resulted. I want to share two stories of recent events that highlight the greater harm reduction that can be achieved when local community has a voice in the alcohol supply side – when the local community voice is aided by a Community Defender service. In 2013 my attention was drawn to an article in the local newspaper. A small-business owner of a family friendly pizza restaurant, Stan, was strongly objecting to the application for a Dan Murphy packaged liquor outlet in the suburb of Moorebank. The suburb was already very well supplied with a mix of hotels and packaged liquor outlets. And like a number of the other local small-business owners, Stan’s business was threatened by this application. He felt overwhelmed by the inequality in this David and Goliath struggle. He freely admitted his back was to the wall after over 30 years as resident, as a service provider, and as an employer, within his local community. Like many other residents Stan felt daunted by the complexity of the legislation, by his limited legal representation, by the financial disadvantage in the struggle, and by legal timelines that made it difficult to inform and engage the community that would ultimately wear the long term consequence of the application and approval process. Now here I must commend the actions of Mr Tony Brown, a solicitor who helped coordinate effective community resistance for many years pro bono, and recently for the Alcohol Community Action Project 12 month pilot. In a courageous act last year, Liverpool City Councillors rejected the Dan Murphy development application. More recently, in September 2014 an effective local community action achieved the withdrawal of a development application by a wealthy hotel investment group for a new hotel and gaming venue in the residential suburb of Casula. This was a challenging and intimidating struggle for the concerned local residents. Again the common themes expressed by the local community were a fear of intimidation, a lack of knowledge of the planning and development application processes, and a lack of funding for legal advice to the community. The effective resistance was led by the courage of women from the local community, in particular Criss Moore and Jacinta Tran, and from the families of over 700 primary school children from the school within 150m of the proposed development application site. I commend Alison Ziller who assisted greatly, providing social impact assessment. Over 1,000 formal statements of objection were recorded by the Liverpool City Council planning office. The critical agent that helped this community, equipped it with knowledge and coordinated its voice was again the Alcohol Community Action Project. Much alcohol-related harm has been prevented by these two community actions – with no significant harm to the alcohol or hospitality industry seen in the cases cited. These cases highlight the benefit to local community of the Alcohol Community Action Project pilot – a more permanent form of which might otherwise be called a Community Defenders Office. Local community must have a voice in the planning process when the product for sale is no ordinary commodity. No more local communities lacking advocacy. A Community Defenders Office must be established in NSW. View Dr John Crozier’s presentation in full on Vimeo.